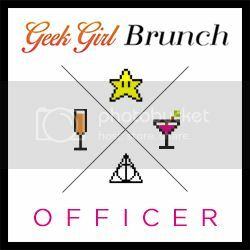 Last weekend was the first time that I attended a Geek Girl Brunch Miami event as a brunchette, and not an officer. Whoa. It elicited a lot of feels that were constantly contradicting each other: happiness, relief, sadness, regret, etc. Lets face it, it’s not easy to walk away from something you absolutely love, no matter how much you know you need to. Something I can say I feel with 100% certainty is pride. From the outside, this organization may seem very silly and immature, but it is very important. 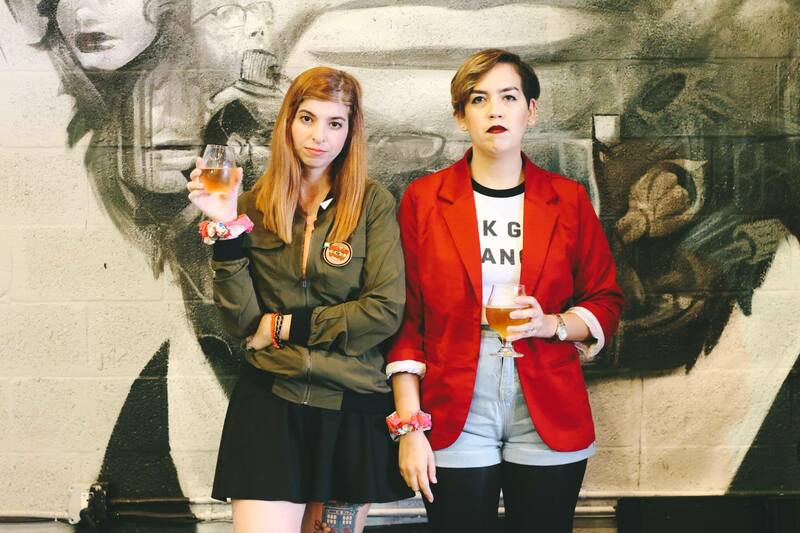 It made a lot of ladies feel like they were accepted for the first time, free of judgement. They could be themselves in a safe environment. And I will always be proud and humbled to know that I was a part of creating that in my city. With those heavy feels aside, our brunch was 90’s themed, and I decided to go as my number one favorite 90’s geek queen: Daria. Without even knowing, one of my good friends (that I wouldn’t have if it wasn’t for Geek Girl Brunch) ended up dressing up as Jane. 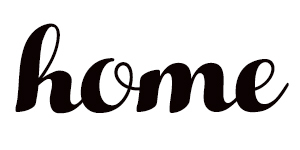 Kismet. Who else says leggings like Quinn and immediately imagines their eye popping out of its socket when they are super frustrated like Daria’s dad? Anyone? Just me? Cool. Great shot of us both thanks to Nabila of One Tiny Dinosaur (the lovely cutie that will be taking my place as officer)! I used to host many a themed party before baby, but we just recently had a small get together to watch the new Sherlock season (!!!) and low and behold, Luna slept through the entire thing! It has made us hopeful that we can begin hosting again because it really was one of our favorite things to do as a couple. 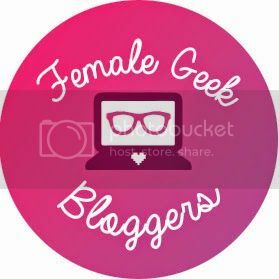 As many of you know, I am the founding officer of Geek Girl Brunch Miami, and for now live out my themed party fantasies through our monthly brunches and events. I thought I would share with you some of my ideas for different themes, and if you guys dig it, it could become a permanent staple here on the blog. Happy Meal Dress; I am absolutely in love with Bonne Chance dresses, even though I am yet to be able to purchase one. They have cute collars and kawaii designs, so what else do I need in my life? I especially love this quirky one because I often don’t get to eat fun things with all my allergies, so I opt to wear them instead as often as possible. Potter Umbrella; In Miami, it is almost a necessity (no, no it is) to have an umbrella on hand at any moment. You never know when the sky is going to open up and ruin your day. 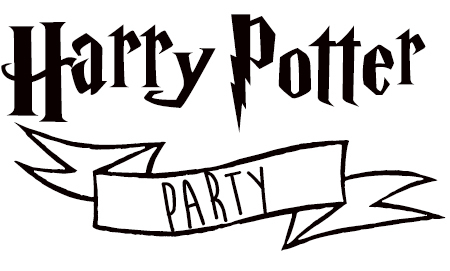 The fact that I can have a Potter themed umbrella would make toting the enormous thing around worthwhile. 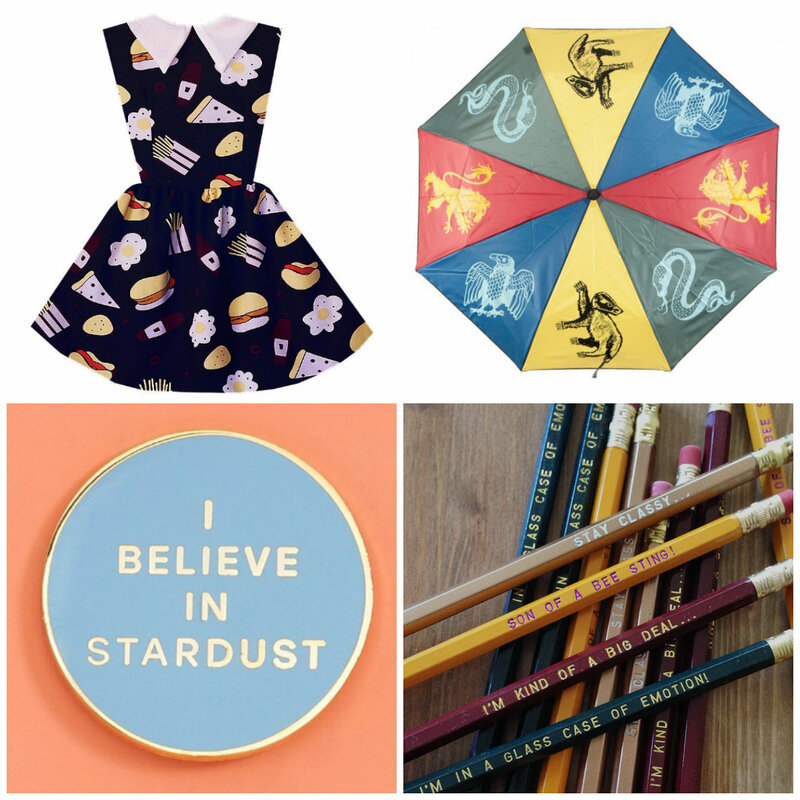 I Believe in Stardust; I am instantly drawn to anything mystical and magical in nature, so of course, I need this adorable pin from Ban.do. I love the simplicity and the pastel colors. I think it would look absolutely fabulous on my growing fandom jacket. 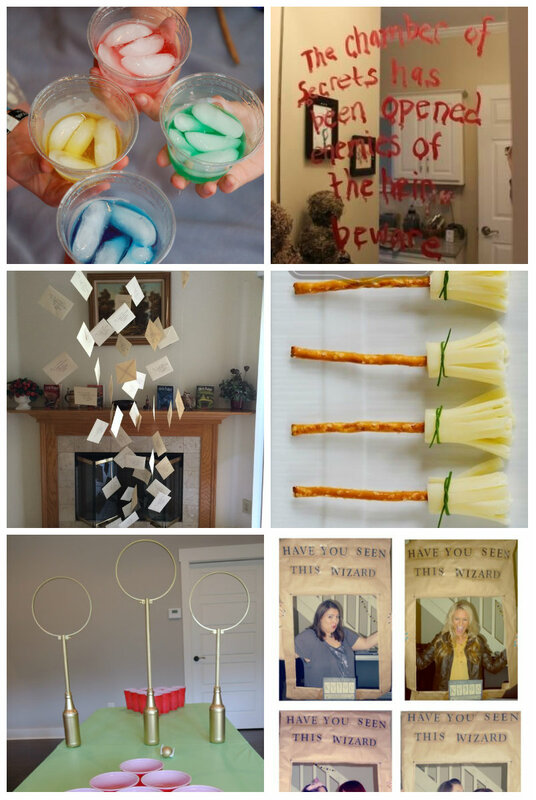 Who says magic can’t be a fandom? Anchorman Pencils; Who doesn’t love Anchorman? Watching this film is seriously one of the few simple pleasures in my life (no, I still have not brought myself to watch the train wreck of a sequel) and I love that some of its signature quotes are immortalized on pencils. This would be so great as swag for a Geek Girl Brunch! The last day of November, which means that Christmas is officially upon us. I am lucky enough to have finished 96% of my shopping and can sit pretty, but I know a lot of you are still on the hunt, trying to find the best gifts for family and friends. 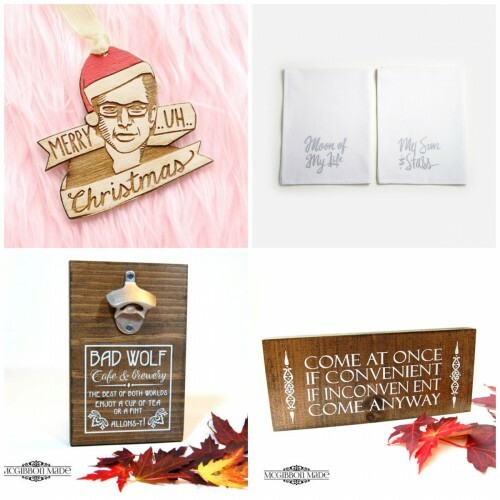 If some of those on your list are of the geeky variety, then I’ve got a fun round up for you! 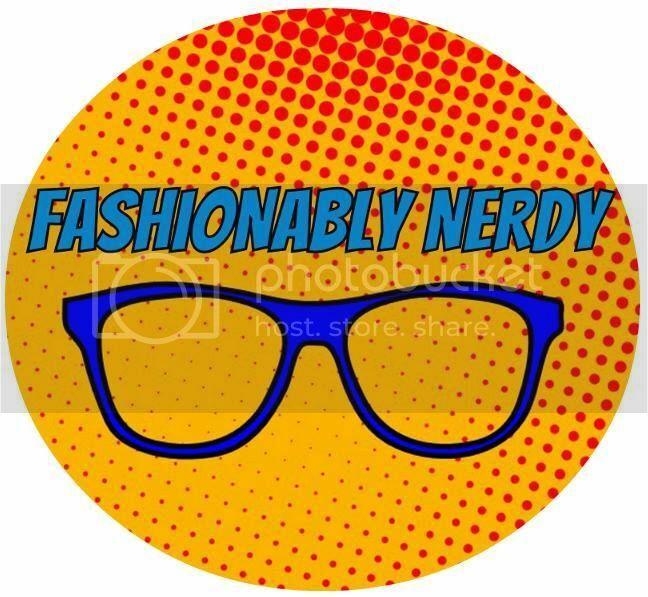 I was given a request after my last Being Geek Chic post on how to incorporate geeky items into basic, every day outfits. I thought this was a great idea because it is something simple that you can do on an every day basis. 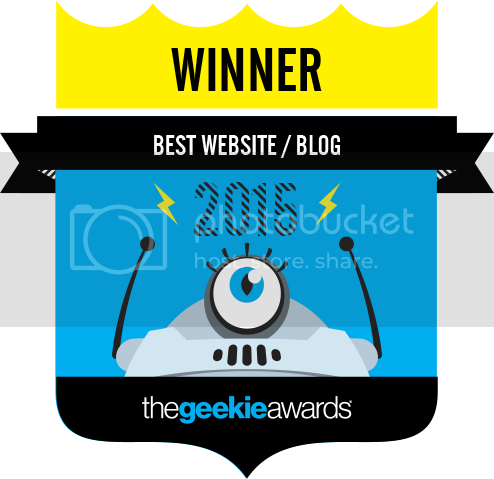 And lets face it, I’m not always sporting a head to toe geeky-inspired outfit (shocker, I know!) 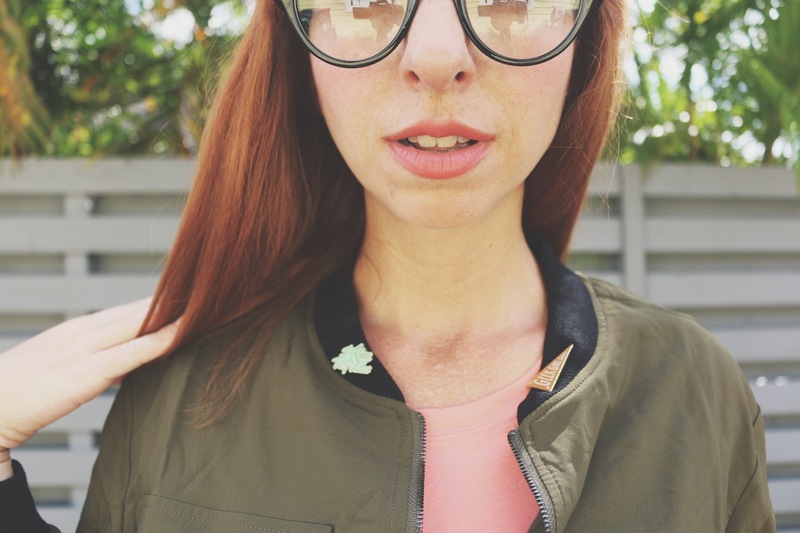 The easiest way to bring in your fandom to any look is through jewelry. 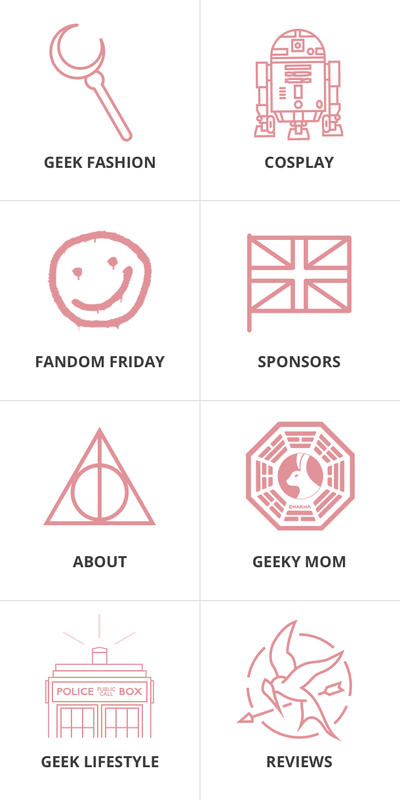 I’ve put together two outfits for you all that show you how you can rock your geekery without going head to toe fangirl. I absolutely love the hippie/boho look these days. It’s so light and easy – exactly what this new mama craves when it comes to fashion. 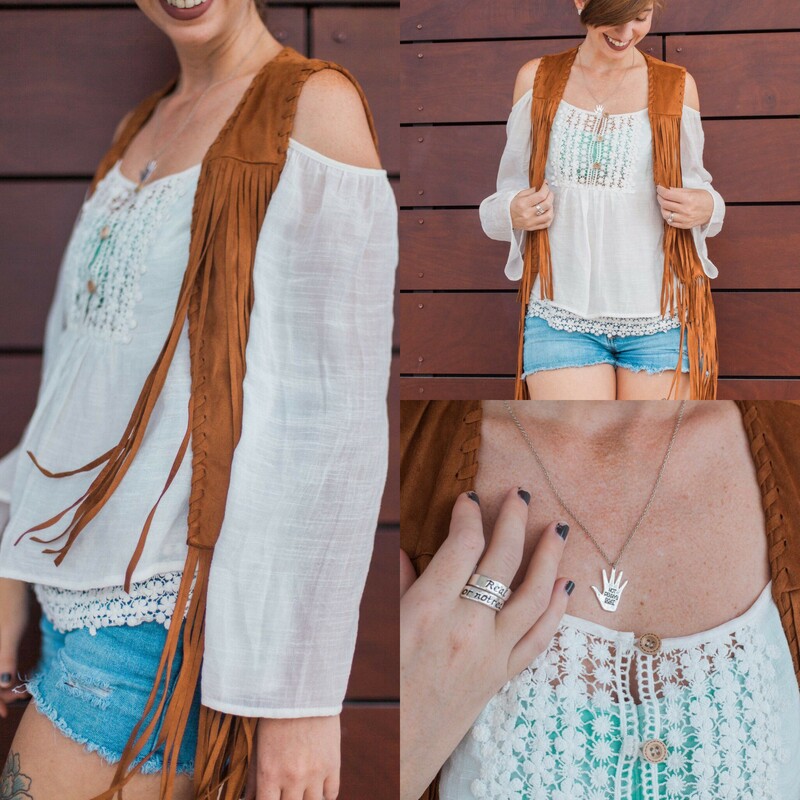 This off the shoulder, flowy top and faux suede fringe vest from Tobi are my new go-to’s when I need to look stylish without too much effort (check out other tops and outerwear from Tobi too). I paired them with a pair of cut off denim shorts and then starting adding some fandom jewelry, like a LOST necklace and Hunger Games-inspired ring. Both pieces are subtle little nods to things I love without overpowering the rest of the look. Want to go full blown boho? Check out everything Tobi has to offer here. 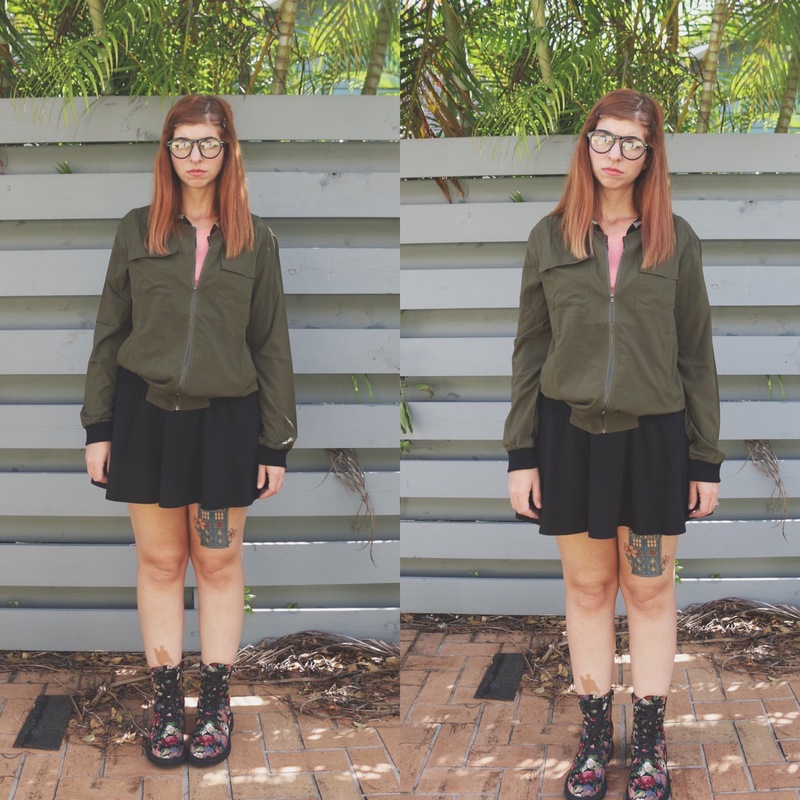 I'm a geek chic blogger based in Miami, FL that loves fashion, music, primping & a good cocktail. A self-labeled fangirl extraordinaire that feels most at home at comic book conventions and/or surrounded by glitter and unicorns.